Multiple Offers Highest and Best due 2/25/2019 5:00pm. Remodeled 3 bedroom ranch in a quite neighborhood. This home has a new bath with 5' ft walk-in ceramic tile shower. Home is freshly painted and new flooring through out. This home has beautiful, stained, solid wood doors, crown molding and matching trim for the charm and character rarely found in modern, updated homes. 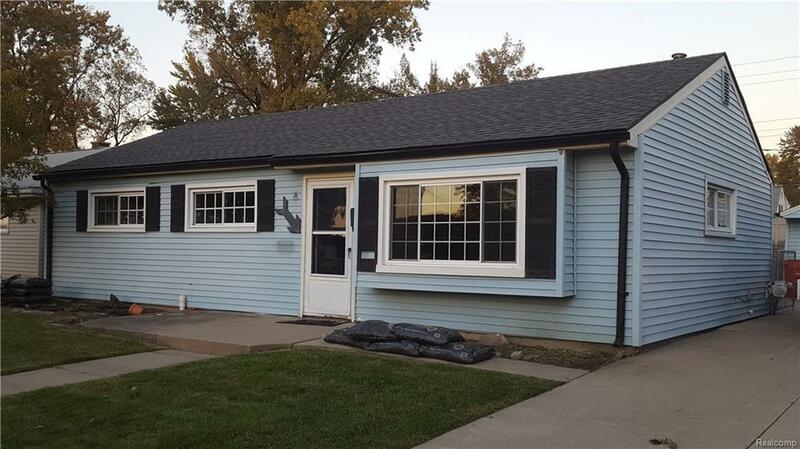 Newer vinyl windows and upgraded 3-dimensional roofing. Fully finished laundry room with 2 walls of cabinetry matching the beautiful kitchen. The newer patio runs the entire width of the home and is covered to shade from sun and rain. Featuring an updated electrical service panel and central air too! Located close to schools and freeways. You wont be disappointed.